The death toll has now exceeded at least 25 and the situation seems to get worse. The likelihood of this turning into a major civil war ultimately drawing in the West v Russia increases with each day. 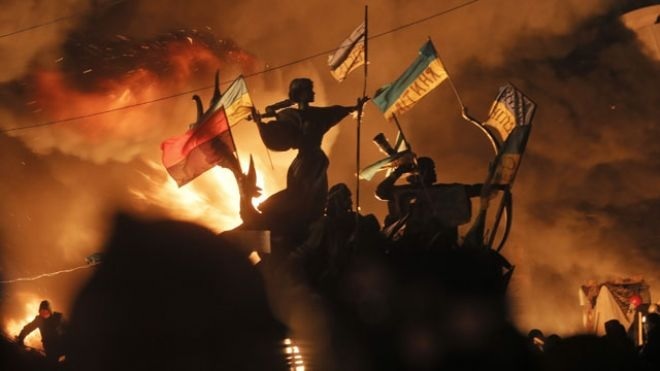 The deadly clashes in Ukraine’s capital have drawn very profound and sharp responses from Washington, leading to Europe at last considering sanctions and the Kremlin statement blaming Europe and the West illustrating this is a major and very serious confrontation. The images coming from there are reminiscent of the French Revolution. Pay close attention. The fate of Ukraine may just be the fate of the World going into 2020.